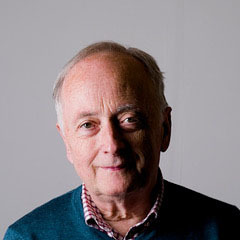 Christopher Reid is the author of many books of poems, including A Scattering (winner of the Costa Book of the Year Award 2009), The Song of Lunch, Nonsense and The Curiosities. For his first collection of poems for children, All Sorts, he received the Signal Award 2000. From 1991to1999 he was Poetry Editor at Faber & Faber, where T. S. Eliot was a director and publisher for forty years. His Letters of Ted Hughes appeared in 2007. The idea for a collection of poetry about dogs came to Eliot himself, when in conversation with his driver, who gave him the highly promising phrase ‘consequential dogs’. Eliot, however, never found time to write it. The new collection from Reid – like Eliot, a former editor at Faber & Faber – offers a canine rejoinder to Old Possum’s Book of Practical Cats and introduces characters such as Dobson the Dog Detective, Flo the Philosophical Foxhound, and Frazzlesprat, a dog who would really rather be a cat. Christopher will be co-presenting the poetry event with Tiffany Atkinson.